*If your question is not listed here, please view our Tenant Handbook which can answer most general questions. No. Your security deposit is held in a separate account and can only be used for outstanding charges after you vacate the property – NOT for your last month’s rent. Generally, no. Any changes can affect the ability of our staff to respond to calls, lock outs, or maintenance requests in a timely manner. Please contact us if you need to rekey your home. No, you do not have to be present when work is being performed. To allow for more speedy repairs, please consider giving permission to enter. Our policy varies per property. Please review your lease for clarification. 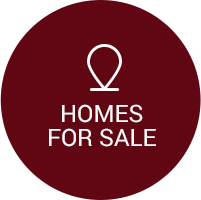 Each property advertises the requirement for Renter’s Insurance if it is a must. However, we highly recommend it for your protection. How do I give my 30 Day Notice to Vacate? We require that all notices be submitted to our office in writing. You can email your written notice to info@foxmanagementinc.com, fax it to 503-280-0242, send by regular mail, or bring personally to our office. Please be sure to indicate your name, the date, your address, phone number, forwarding address (if known), and last day of tenancy (if longer than 30 days from the date of submission). If you are living in a roommate situation, please indicate whether all tenants are vacating, or just yourself. Roommate situation may require additional paperwork to be completed. Rent payments are accepted in a few different ways. The quickest and most efficient way is to sign up for our free online payment system with e-check. All you need is valid email address! You can also pay online with a debit/credit card (fee applies) or use PayNearMe™ to pay in cash at a 7-11 or ACE store (fee applies). 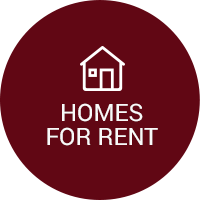 Contact the office for details at 503-280-0241 or visit our Rent Payment page to get started. If you stop by after hours, there is a mail slot in the garage door on the left side of the office. This is a secured box. See our tenant handbook for more details on our rent collection policy. *Reminder: Review your lease for late rent policies. Rent is due on the first of each month. NO EXCEPTIONS for weekends, holidays, or postage delays. We have given you a grace period through 11:59PM of the 4th. Please include $100 late fee with all late payments made after midnight on the 4th. 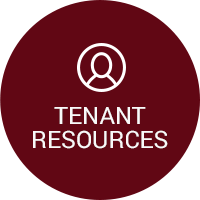 If you have a non-emergency maintenance issue, first review our troubleshooting guide, located in the tenant handbook, which may resolve your issue. If this does not help you, you can submit an online maintenance via the TENANT PORTAL. Click on the MAINTENANCE tab. 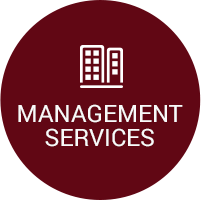 If you have not set up your TENANT PORTAL email us at maintenance@foxmanagementinc.com. You can also download, print, and complete the maintenance form and submit it to our office via fax at 503-280-0242, regular mail, or email your property manager. When will you complete my maintenance request? We try our best to respond to non-emergency requests within 48-72 business hours. Have you given us permission to enter? This results in more speedy repairs. If you have more than one request, it may be that multiple vendors are required to complete the request, or we are still seeking approval to move forward. Please note that we do prioritize work orders, and emergency requests are more frequent during colder months. Please review our Tenant Handbook for troubleshooting tips.